Did you know…you can go to my Author Profile on Bookbub and click follow, and when you do that you’ll be automatically updated every time I have a new release or one of my books is on a special sale? It’s true! It’s also free and easy to do. Just go here, click on the FOLLOW button, and you’re all set. Return back to this post to enter below! 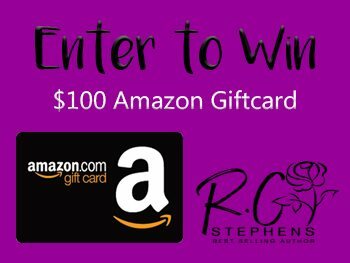 If you click now and follow me you can enter to win a $100 Amazon Gift Card just for being a follower.